k-punk: Whose breath was taken? Something over half a billion pounds appears to have vanished on consultants, many of them laughably hired as "cost controllers" to be paid millions in bonuses as costs soared. Architects underplayed their bids, since they knew that budgets would be torn up once nationalist hysteria was aroused. More is said to have been spent on professional fees than has been earmarked for Olympics training itself. Simon Jenkins on 2012 in The Guardian. Compare with my piece on hauntology and space at Frieze last week. Compare also with Iain Sinclair's, for me disappointing, recent piece on 2012 in the LRB; a squandered opportunity for him to turn out a vigorous polemic, such as I saw him deliver at Tate Britain last year. 2012 discontent will only build over the next four years. Even in the immediate wake of "Team GB's" success in Beijing, the enthusiasm for 2012 has remained lukewarm in London; partly that's because of English* miserabilism, the fatalistic assumption that everything produced here must be overpriced, ersatz, second-rate, half-assed. The Millennium Dome - which, even though it was initiated by Major's Tories, has become the abiding symbol of the New Labour project - has fatally damaged New Labour's reputation for being able to deliver grandiose projects on time and on budget. Authoritarian capitalism can deliver a spectacle like the Beijing games; the kludges and fudges of Brown's third way capitalism will produce something incompetent and vacuous (much like the dismal handover to London section in the Beijing closing ceremony: a litany of the clapped-out and the obvious - a red bus, David Beckham, Leona Lewis, Jimmy Page...) There is an opportunity to politicise the anger against 2012, to convert it from the grumbling miserabilism which constitutes a ambient backdrop to English cultural life into a focus of discontent against what Steven Shaviro calls "aesthetic capitalism". Olympic opening ceremonies are classic cases of something designed for the gaze of the big Other. The Beijng ceremony - and Jenkins is very good on the way that the IOC pushed for a hyper-spectacular opening ceremony to make up for the boring nature of most of the Olympic sports - is now routinely referred to as "breathtaking", but is there any actual individual whose breath was taken by it? Perhaps it is in the very nature of pomp that it actually boring, but by reputation 'awe inspiring'. The displacement of sport - whose drama is fundamentally unpredictable - by the rigid predictability of an efficiently choreographed PR pseudo-event is a whole story in itself. 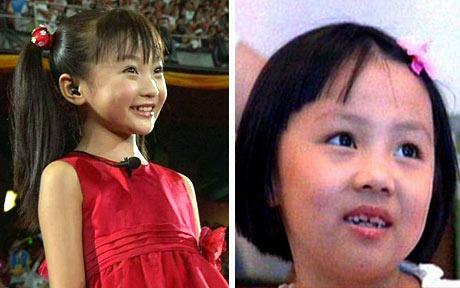 The Chinese politburo understood that it is what appears on TV that matters: which is why, in the by now notorious incident, they were quite happy to replace a young girl singer at the opening ceremony with a body double, and to augment the fireworks with digital effects. Here is a case where, to use Jonathan Beller's formulation, "to look is to labour": value was added to both the IOC and China's brands by all those dissolute gazes which idly passed over the opening ceremony. One irony of the attention economy is that no-one is required to pay that much attention; all that matters is that the pseudo-event has been seen, has passed through the gaze of an audience that stands in for the big Other.